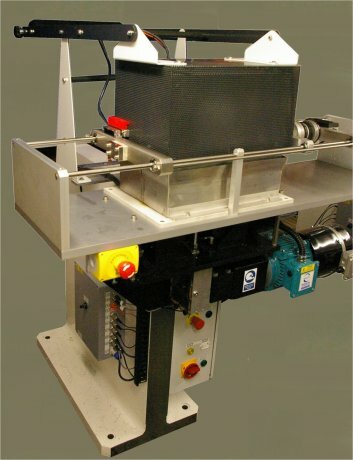 The TE 33 Engine Tribometer is a two-station, vertical axis, long stroke reciprocating tribometer, which combines the reciprocating drive mechanism from the TE 77 High Frequency Friction Machine with the specimen tooling of the DN 55 High Temperature Dry Sliding & Fretting Test Machine. The test assembly is located vertically above the reciprocating drive assembly and comprises two fixed specimen arms supported on flexural pivot bearings, which are in turn mounted on linear flexure assemblies. Motion in a vertical direction is restrained by piezo force transducers. As each arm reacts against its own independent transducer, the friction between the each moving specimen and each fixed specimen is monitored independently. This allows two different material pairs to be tested simultaneously under identical conditions of load and temperature. 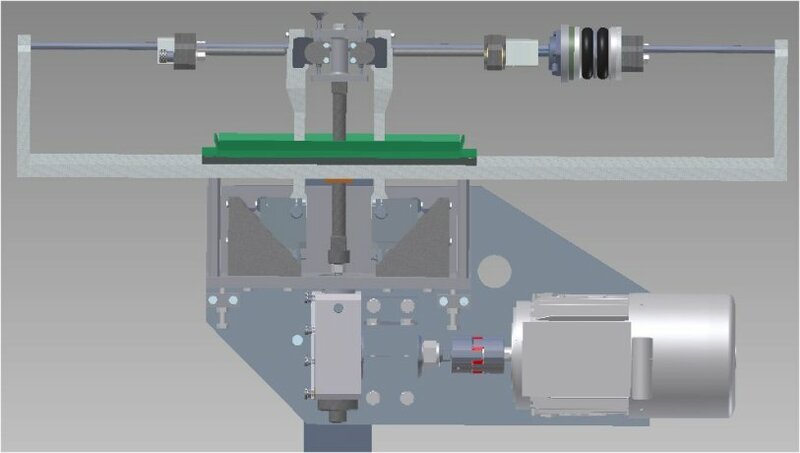 Load is applied to either side of the moving specimens by squeezing the two fixed specimen arms together by means of a servo controlled pneumatic bellows assembly, with force transducer feedback. This arrangement ensures that there is no bending moment acting on the moving specimen carrier.